I love it. There’s something about this color that reinvigorates me and gives me the will to live. 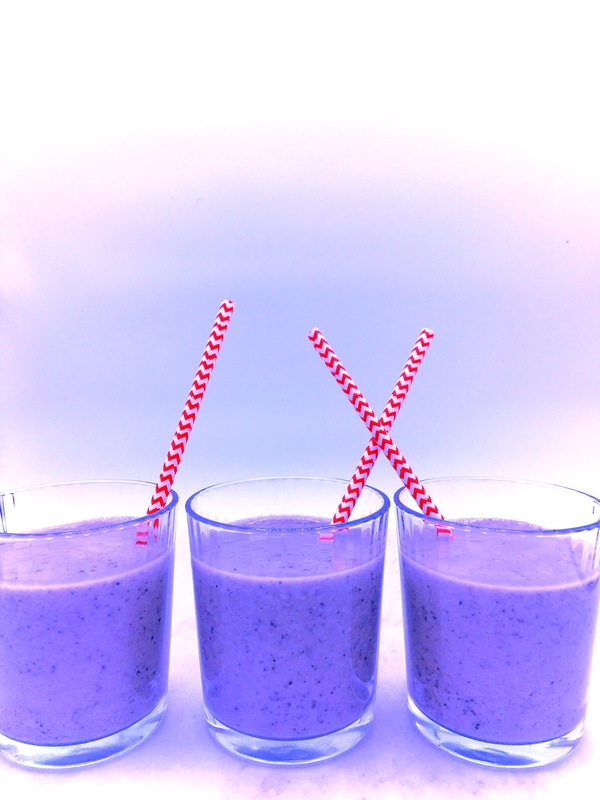 I don’t know whether it’s my fondness for ube, a Filipino yam, or my undying love for Prince, or just the nature of the color itself, but when I was developing a new smoothie recipe, I knew I wanted to make it one of my favorite colors. And here it is. 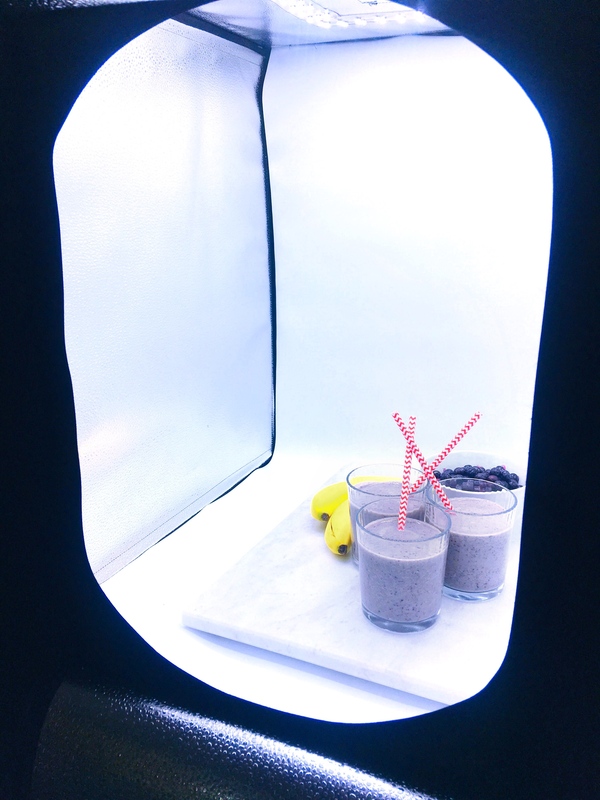 I spent months putting this smoothie through extensive field-testing. Field-testing in my case means making it after I’m done coming close to death after another grueling early morning workout (5am? For real, who does that?). Whether it’s heaving heavy weights up or cranking away on the very aptly-named Assault AirBike (it’s pure unadulterated evil, I tell ya! ), the real test for me was whether the idea of enjoying this smoothie had the ability to carry me across the finish line of the workout each and every time. 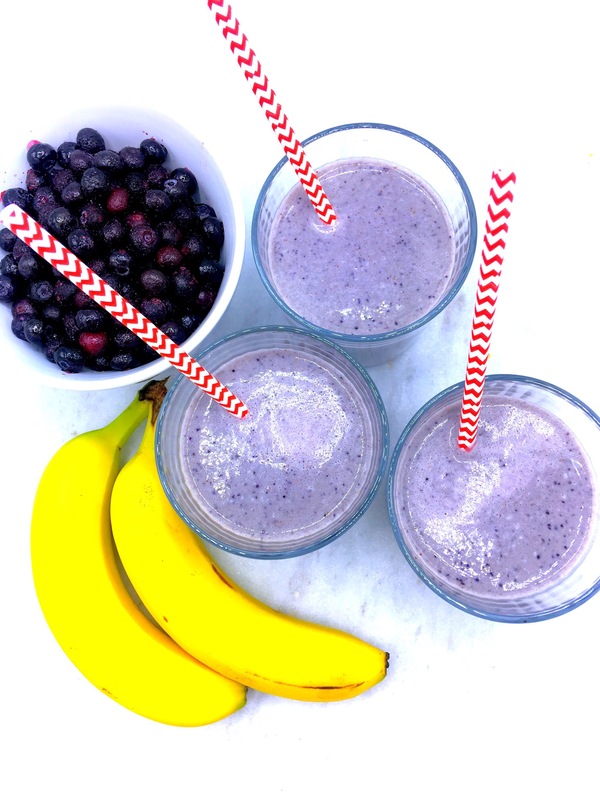 The real key to making this smoothie as epic as it can be is to have both frozen blueberries and bananas. It’s a game-changer. The smoothie comes alive and is more vibrant and refreshing than it would be with just a boring room temperature sad-face banana. If you happen to forget (as I did a couple of times after a long day at work) to freeze the bananas and blueberries, you can add some ice cubes and that will make up for it pretty well. One last thing before you run off to make this: I want to give a special shout-out to my new Fovitec StudioPRO All in One Product Photo Light Tent. My husband and sons gave it to me Last Christmas (sorry, not sorry if Wham’s song is now in your head) and I finally got around to using it. I was a little intimidated at first, but quickly found out how super easy it is to use. And fun! I love the results and will definitely be using again for my future pictures. 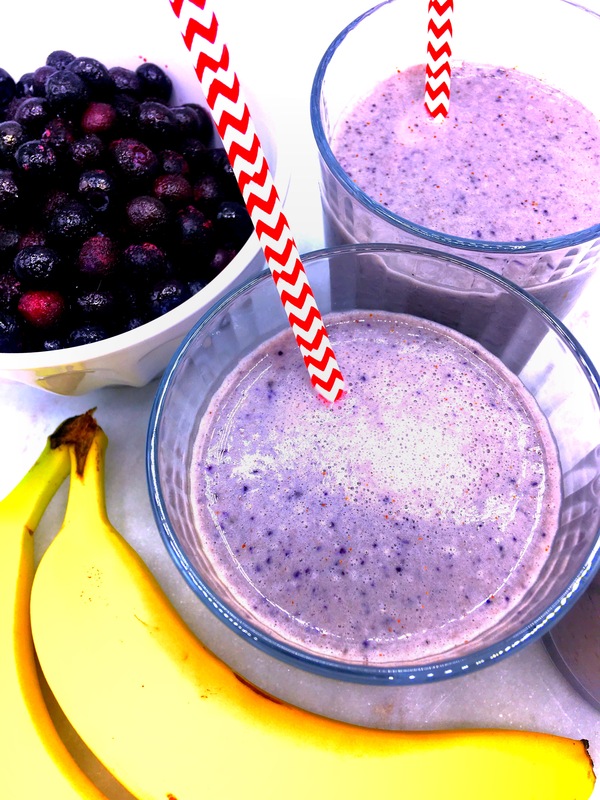 I hope you enjoy this Blueberry Banana Almond Protein Smoothie whether it be post workout or not. This also makes a good breakfast-on-the-go accompanied by a hard boiled egg. Even better, add some bacon…preferably while listening to Prince.